Has anyone else been to Starbucks this week? Well, if you have, I'm sure you noticed that they are now serving their holiday drinks! I love their Peppermint Hot Chocolates around this time of year, but in the fall, I love all of their pumpkin spice things. 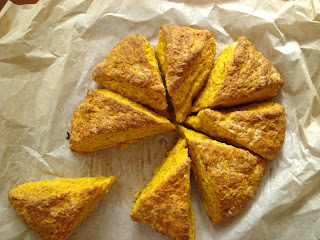 The drinks are great, but my real favourite is the pumpkin scone! I don't even eat scones that much, but there is something about those babies that I just can't resist! The only problem with those is that they're so HUGE! But still so delicious. 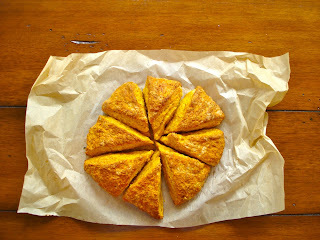 So when I saw a recipe for pumpkin scones on weelicious, I just had to make them. 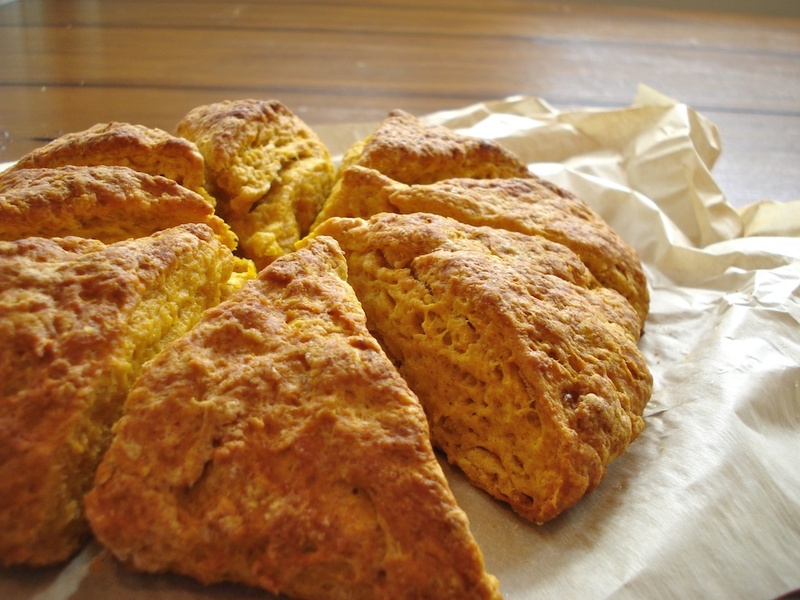 I made these as sort of "snack size scones" and reduced the size by about half, but if you would rather have bigger scones, go ahead and make 4 scones instead of 8, or double the recipe for 8 large scones! So whether you also love those big Starbucks pumpkin scones, or you just love pumpkin (or, you know...you just love scones...), give this recipe a try. They make a perfect fall snack! In a large bowl, whisk the flour with the sugar, baking powder, salt, cinnamon and nutmeg. 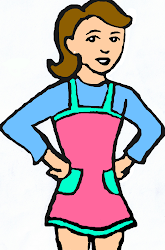 Using a pastry blender or two knives, cut the butter into the flour until it resembles coarse meal. Once butter is fully combined, add in the pumpkin and the egg. Gently mix until combined. Mixture may be dry, so feel free to use your hands near the end. Dump the dough onto a floured cutting board and knead a few times. Place dough on parchment, and roll out dough into a 1-inch circle. Cut into 8 wedges and place parchment on a baking sheet. Bake in preheated oven for 25 minutes or until golden brown.